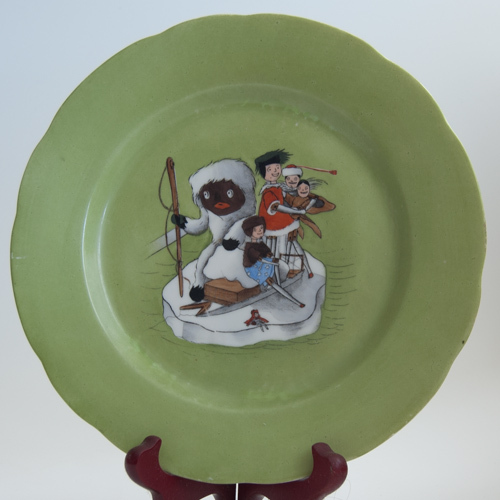 An extremely scarce porcelain plate with an illustration from 'The Golliwogg's Polar Adventures', by Florence Kate Upton published 1900. These stories, written for children just over 100 years ago in the late Victorian period, described the adventures of Dutch Dolls and a Golliwogg doll who was portrayed as a hero saving those Dutch Dolls from calamity. Condition - minimal wear excellent condition. 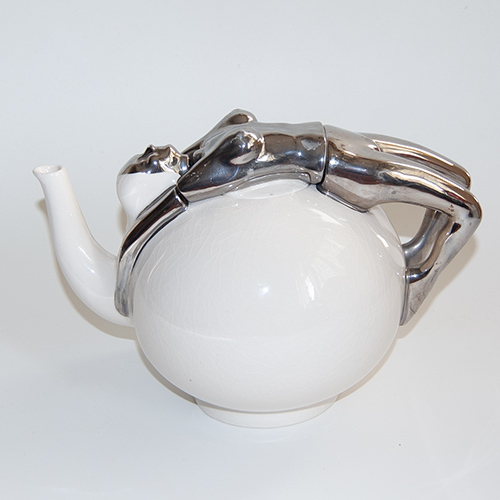 Marked with the British registered design number "R.E.G. 425170" on base which dates it to between 1900 and 1905. Believed to be made in Germany for the British market.